Kleftiko. Kleftiko is located southwest of the Greek island of Milos and is only accessible by boat. 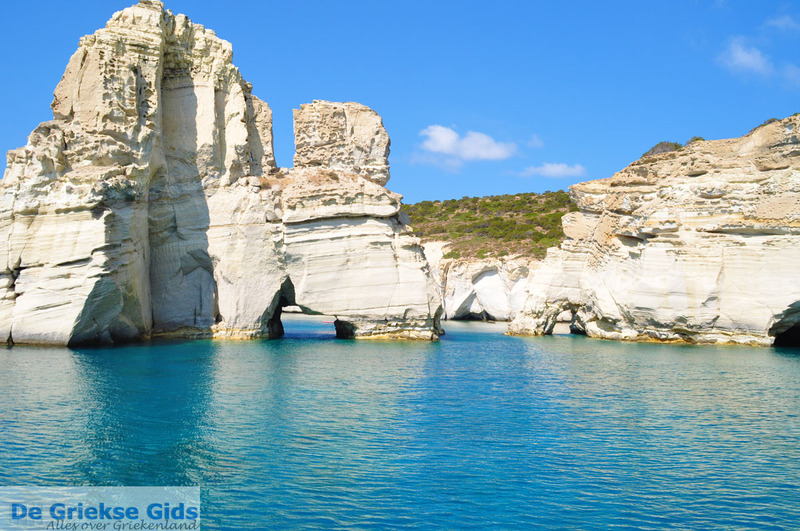 Kleftiko is one of the most photographed places in Greece. 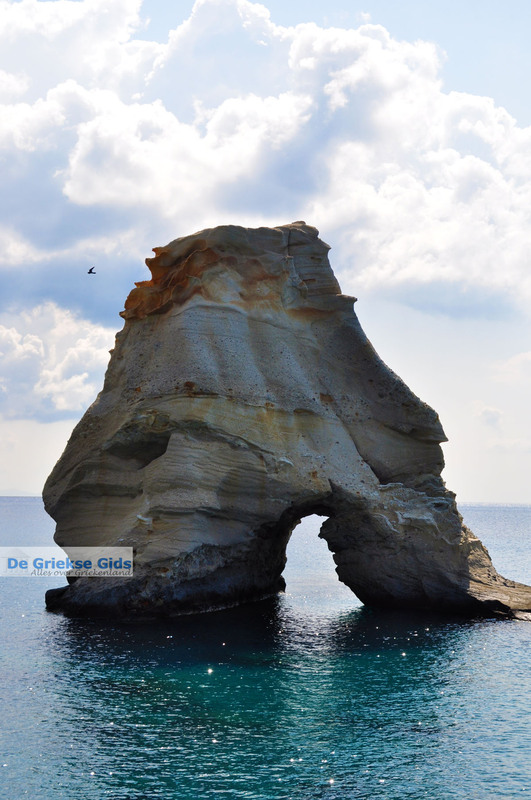 Here, impressive white rocks in different formations tower above the sea. 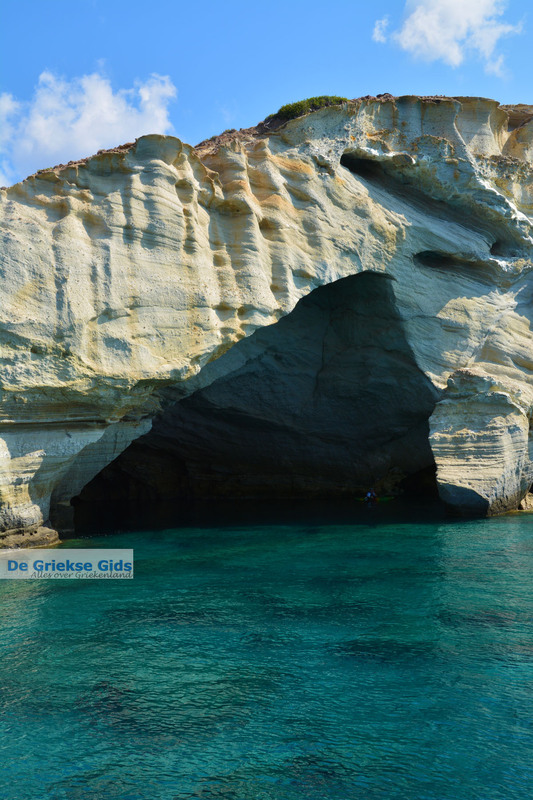 Daily, dozens of boats with tourists come here for photos, to swim in the beautiful turquoise sea and explore the many caves. 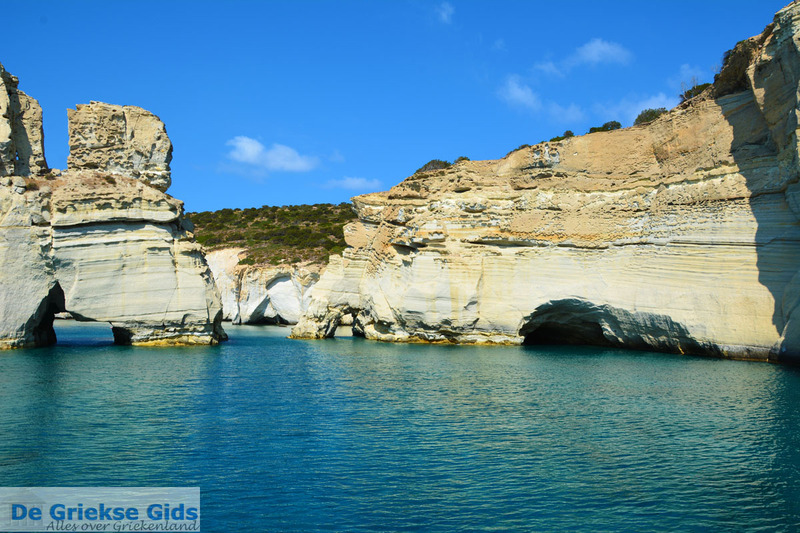 The name Kleftiko comes from the Greek verb “klevo” meaning “I steal.” In the Middle Ages this location was a place where pirateships hid and inititated their attacks. 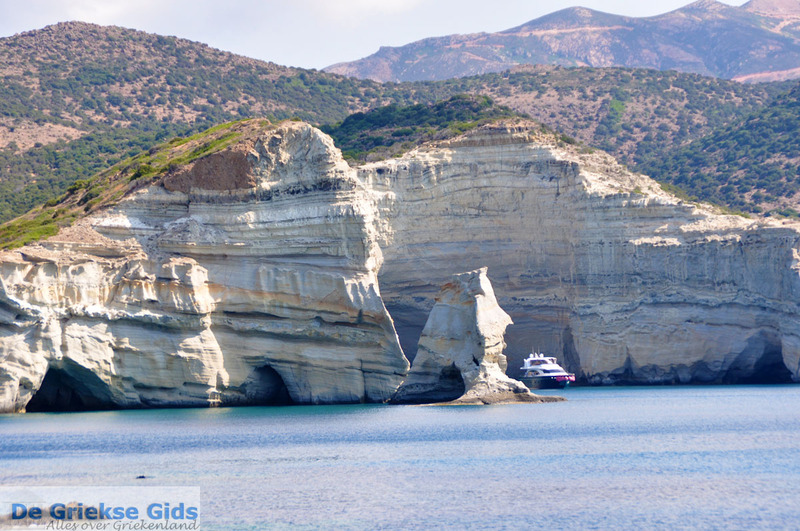 Boats to Kleftiko sail from Adamas and the nearby resort of Kipos. 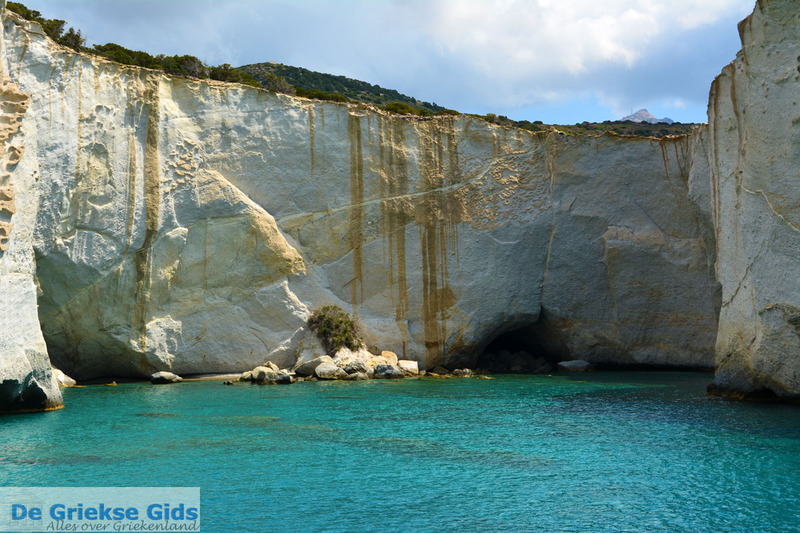 Northwest of Sarakiniko are the caves and cliffs of Sykia. 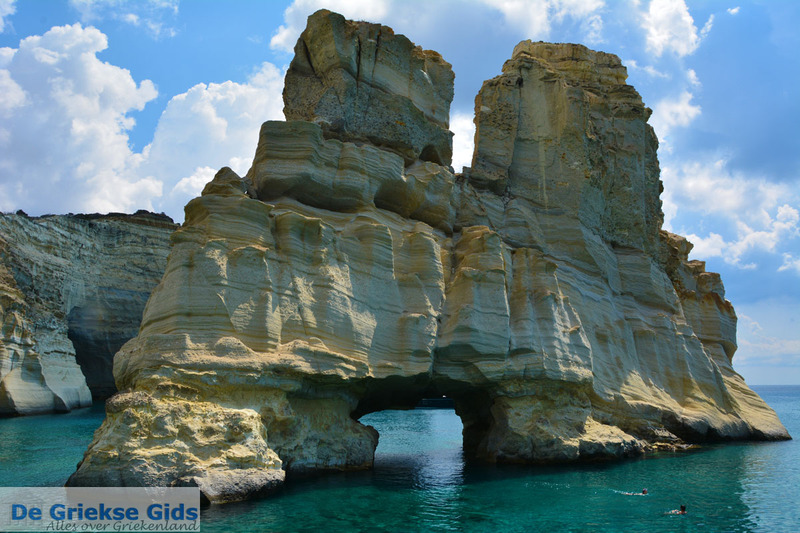 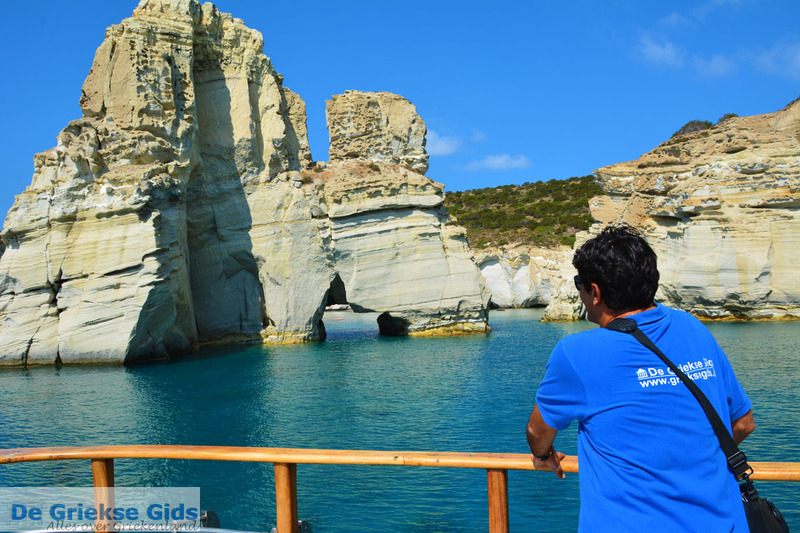 Located on the west coast of Milos, they are colorful, imposing rocks and caves only accessible by boat. 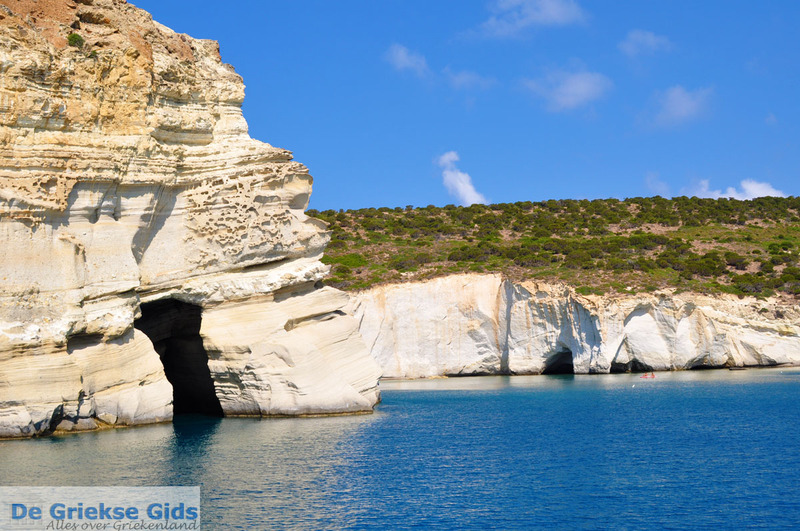 Both Kleftiko and Sykia are a result of the centuries old volcanic activity on the island. 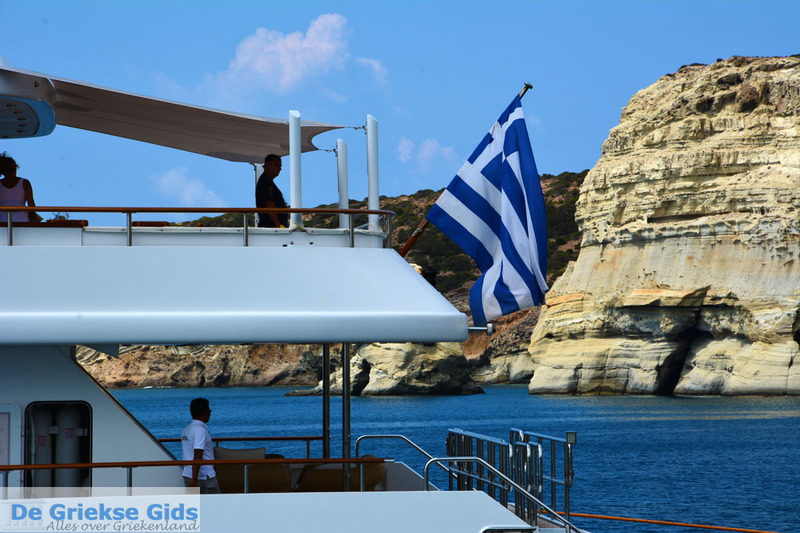 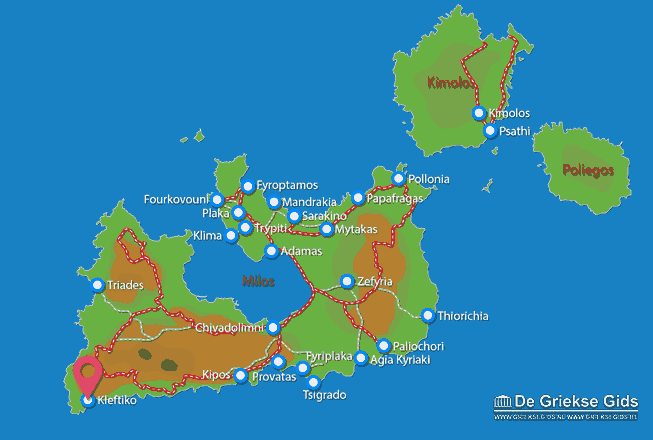 Milos: Where on the map is Kleftiko located?